ALL-NEW FROM ROBERT KIRKMAN & JASON HOWARD! At long last, Max Maximus makes his move! 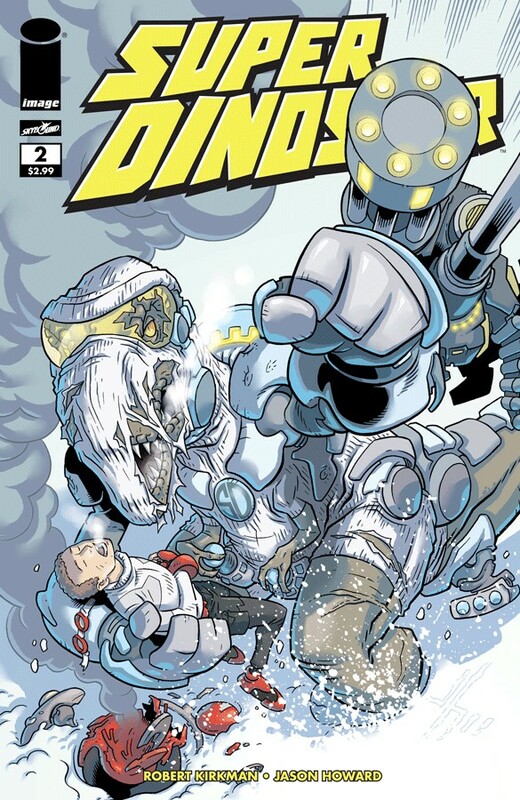 Super Dinosaur and Derek Dynamo find themselves face to face with the most fearsome foe they've ever faced... and that's only if they don't freeze to death first! This issue can't be missed, just like every issue of SUPER DINOSAUR!